The oldest European university in continuous operation is the University of Bologna, founded in 1088. Thirteen other Italian universities are over 500 years old. Two centuries before Christ, Archimedes of Syracuse was born on the Mediterranean island of Sicily. This ancient Greek mathematician, physicist, engineer, inventor, and astronomer is considered to be one of the greatest mathematicians of all time. Centuries later, another young Sicilian has a love for science and mathematics and hopes to become an astronomer. “Since I was a little boy,” says Kenan, a physics student at the University of Catania, “I tried to learn all about science. I read many books, including the Bible. I especially liked the verse, ‘Look up into the sky and count the stars if you can’ (Gen. 15:5, NLT). The University of Catania, where Kenan is studying, was founded in 1434 and is the oldest university in Sicily. Several famous scientists have been associated with the university. Kenan isn’t shy about sharing his faith. Even in high school, Kenan let his light shine. Being a keen mathematics student, Kenan was selected by his local school to participate in the Italian Mathematical Olympiad—a national, multi-level competition for high school students. The tests include challenging problems in algebra, combinatorics, geometry, and number theory. 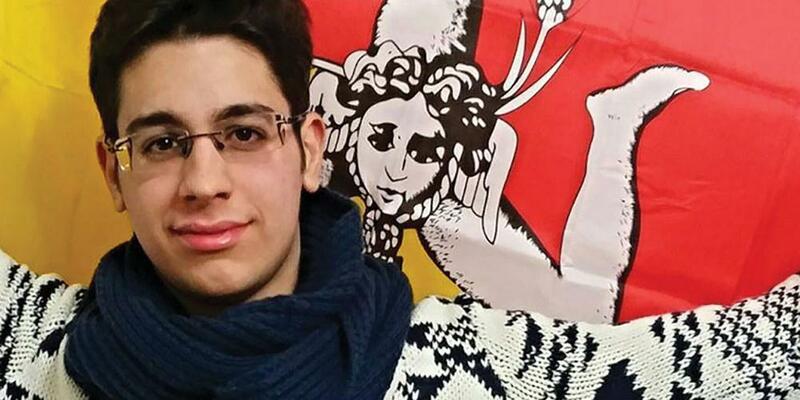 Kenan gained the top score in his local area and went on to compete at the regional level, where he earned the top score in all of Sicily—an autonomous region of Italy. Kenan then learned that the national competition was scheduled to take place on a Saturday. Being a faithful Seventh-day Adventist, Kenan wouldn’t compete on the Sabbath. After praying, he decided to approach the chairman of the Mathematical Olympiad. Explaining his situation, Kenan asked if it might be possible to change the exam date. He was told that the staff would consider his situation. It was the first time in the history of the Olympiad that anyone had made such a request. Not long afterward, Kenan was surprised to be invited back by the International Olympiad leaders, most of whom are university professors from around the world. The group questioned him about his religion. Kenan told them that he was a Seventh-day Adventist. “But why do you keep the Sabbath?” the group wanted to know. Kenan explained that the Sabbath was rooted in Creation when God “rested on the seventh day . . . and sanctified it” (Gen. 2:2,3, NKJV). This, of course, led them to ask, “Why do you believe in Creation?” They had difficulty understanding how a smart teenager could actually believe what they considered to be mythology. The Olympiad leaders were shocked. They had never heard anything like this from a competitor. They decided to change the national competition to a Friday. Kenan was delighted. He achieved the sixth-highest score in the nation and earned a university scholarship. Now at the University of Catania, Kenan’s witness continues. Recently he’s been talking with his professors about the gravitational waves that were detected earlier this year (2016). When two black holes collide and then merge with each other, they release energy in the form of gravitational waves. The union produces a single, massive spinning black hole 21 times the mass of the sun. “This isn’t something that comes from chaos,” Kenan explains, “but from a wonderful mind. It’s not chaos . . . it confirms Creation.